Tired of the lifeless look of your bathroom? Ready to add some excitement to your life with something unique? Worried that once your bathroom looks amazing, your bank account will be looking less than stellar? Well, you’re in luck because the worrying can stop now! 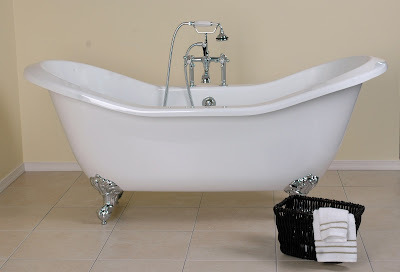 At Vintage Tub & Bath, we understand that you want the best deal when designing your dream bathroom, which is why we have created amazing tub packages just for you! With over 20 packages to choose from, you can certainly find the look you want all while saving a bundle. In each package, you will receive a bathtub with a matching tub faucet or shower enclosure, drain, and supply lines. All of these items purchased separately would not only put a major bruise on your wallet but would also give you a major headache trying to match each item for that perfect look. Vintage Tub & Bath takes away those major issues with ideal tub packages, leaving your mind at ease and your wallet full!